i. The third edition of women’s national boxing championships begins in Vijayanagara, Karnataka. Country’s top boxers will be vying for top honors as the tournament will be held at the JSW Sports-owned Inspire Institute of Sport. ii. 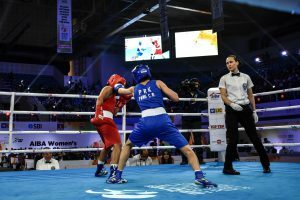 World Championship silver and bronze medallists boxers, Sonia Chahal, Lovlina Borgohain, Pinky Jangra and Nikhat Zarin will be trying to upstage one another in the race to claim the top honors. Ajay Singh is the President of the Boxing Federation of India (BFI). i. India’s stylish opener Smriti Mandhana has been named as the International Cricket Council (ICC) Women’s Cricketer of the Year. The 22-year-old, who has also been named as the ICC Women’s ODI Player of the Year, achieved the feat by giving some exceptional performances throughout the year. ii. She is currently ranked fourth in the ICC Women’s Players Rankings for ODI Batters and 10th in the ICC Women’s Players Rankings for T20I Batters. Smriti Mandhana has won the Rachael Heyhoe Flint Award for the ICC Women’s Cricketer of the Year. Australia’s wicketkeeper-batter Alyssa Healy voted ICC T20I Player of the Year. England’s Sophie Ecclestone named ICC Emerging Player of the Year. The left-hand batter becomes only the second India woman player to win an ICC award after fast bowler Jhulan Goswami, who was named the ICC Women’s Player of the Year in 2007.
i. 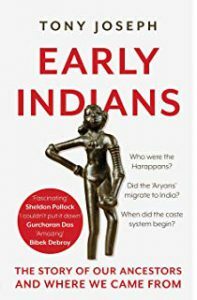 The book titled “Early Indians: The Story of Our Ancestors and Where We Came From”written by Tony Joseph was released. ii. The book talks about the migration of the First Indians also known as ‘Aryans’ who arrived here 65,000 years ago. i. Legendary filmmaker Mrinal Sen passed away at the age of 95 in Kolkata. He was a Padma Bhushan and Dada Saheb Phalke awardee. ii. 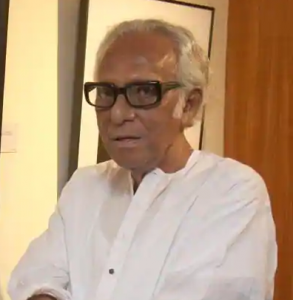 A recipient of 12 international film awards including CannesFilm Festival, Mrinal Sen was also a member of the Indian People’s Theatre Association. 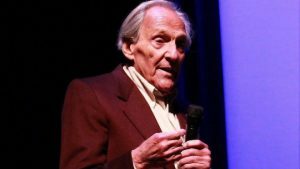 i. Norman Gimbel, the Oscar and Grammy-winning lyricist, has passed away at the age of 91. Gimbel’s work included Killing Me Softly With His Song – recorded by Roberta Flack, the Fugees and others – and the theme to TV series Happy Days. ii. Norman Gimbel was born in Brooklyn. In 1984 Gimbel was inducted into the Songwriters Hall of Fame.